how much do we love goose meat or more so, how much do we love the goose fat? Not only does a free range goose have rich dark and succulent flesh, but the it has the added bonus of pints of the world’s best cooking fat. Goose fat induces such pleasure into the crispiest crackling not only for your christmas dinner but for roast dinners thereafter. 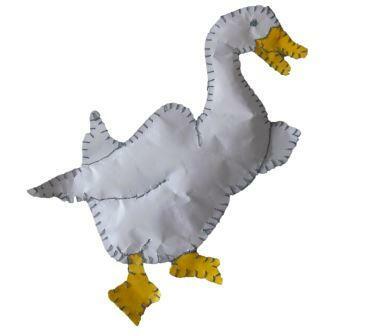 The free range goose is back, now at its most popular since it was eulogised by Dickens in ‘A Christmas Carol’. However you say it, goose is gorgeous, which simply explains surprisingly high sales in difficult financial times, for a bird that can sometimes command close to three figures: Goose is going on the menu all over fashionable London and beyond and first timers will not be disappointed. They may be paying a little more or so than the traditional white turkey, but you can’t beat its flavoursome meat. A goose is just for Christmas dinner and it may not serve up any leftovers, but the fabulous fat, its salty crispy golden skin, and a stock to die for! 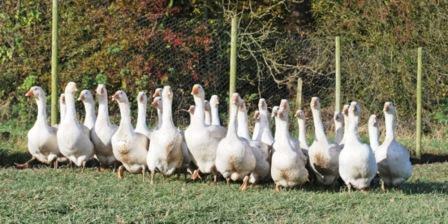 A fresh free range Goose is the traditional choice for Christmas.